U.S. stocks traded in a wide range on Friday as investors digested different comments and reports on global trade, while Apple shares dented the broader tech sector. 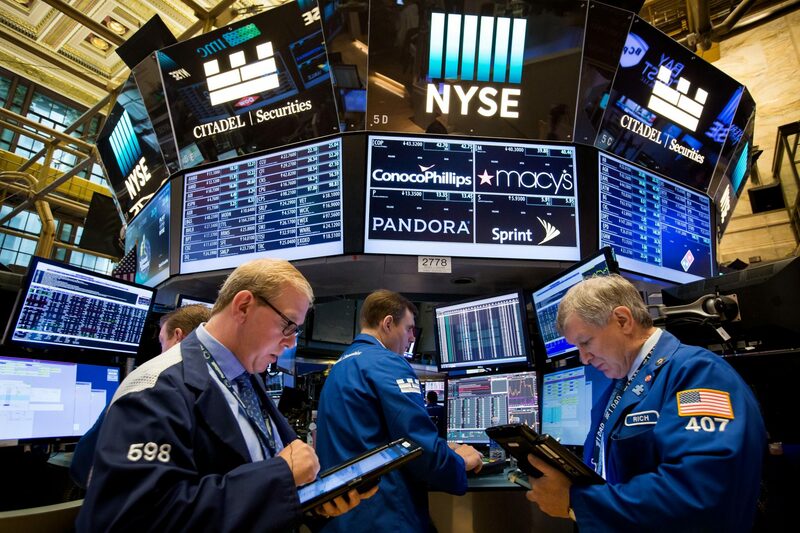 The Dow Jones Industrial Average closed 109.91 points lower at 25,270.83 after falling 300 points earlier in the session. At its session high, it was up as much as 198.24 points. The S&P 500 pulled back 0.7 percent to 2,723.06 as Apple’s 6.6 percent decline dragged down other major tech names like Facebook and Alphabet. The tech-heavy Nasdaq Composite dropped 1 percent to end the day at 7,356.99. “We’re doing a normal, routine run-through of things that we’ve already put together and normal preparation,” he said. “We’re not on the cusp of a deal.” When asked whether the president explicitly requested his top advisors to drum up a trade deal, Kudlow said “no.” Kudlow’s comments sent equities to their lows of the day. Meanwhile, Kudlow’s remarks contradicted a Bloomberg report from earlier on Friday that said Trump had asked officials to prepare a draft for a U.S.-China trade deal. Apple fell after the company’s iPhone shipments for last quarter missed estimates. The company also offered light guidance and announced major changes to its reporting structure. These were enough to overshadow stronger-than-expected earnings and revenue. “There’s good news for everyone in this report, but it also makes it clear that the economy is running a little bit faster than we can probably sustain,” said Jason Thomas, chief economist at AssetMark. “The Fed must, and is trying to, slow down the economy” so growth remains sustainable. Treasury yields rose following the data’s release. The benchmark 10-year note yield traded around 3.21 percent while the two-year yield climbed to 2.91 percent and hit its highest level in a decade.